Gameraisr™ announced the debut of the Gameraisr web-based platform that makes it possible for anyone to run a college basketball tournament bracket pool for the benefit of any charity. In addition, Gameraisr will also offer fundraising games for The Masters, The Kentucky Derby, and the NBA and NHL Playoffs. Candidates for additional Gameraisrs include: football playoffs, golf tournaments, marathons, dog shows, reality TV talent competitions, and entertainment awards. 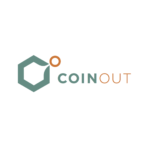 The Gameraisr platform makes it simple for enthusiasts, philanthropists and charities to organize, host and play online “outcome challenges” based on popular live sports and pop culture happenings around the world. Setup only takes minutes: Choose a game. Choose a cause. Offer prizes. Invite players. Watch, win and feel great about doing good. 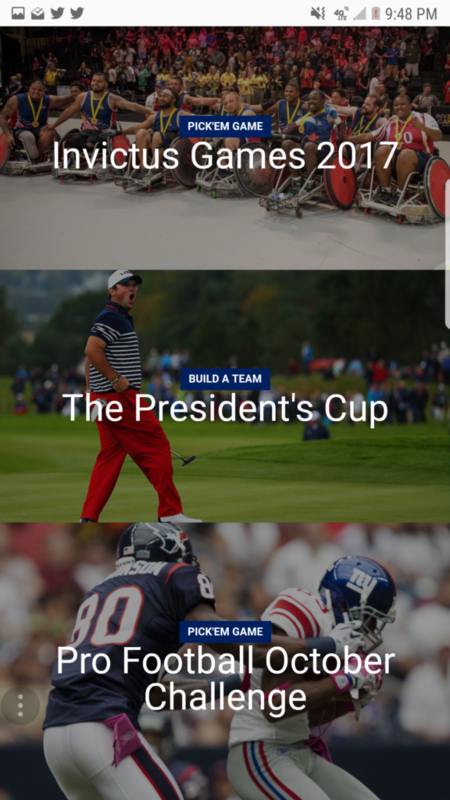 “We wanted to solve a problem and create a true path for anyone, from Cubs Manager Joe Maddon to the school alumni relations officer, to easily get everyone involved in fun activities that support good causes” said Ty Bailey, founder of Gameraisr. Gameraisr scales and provides tools for sharing and spreading the word, explaining the rules, processing credit cards, handling play, managing and reporting results, and navigating legal compliance in all fifty states and the IRS. 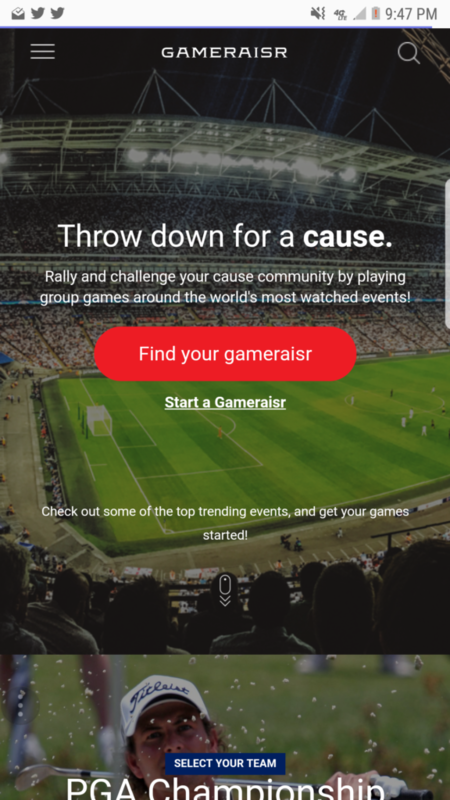 Ty Bailey, CEO and Founder, conceived of Gameraisr as a way for everyone to host a pool challenge, offer a prize, and raise money for a good cause, by cultivating the interest, spirit and and camaraderie surrounding the world’s most watched events. 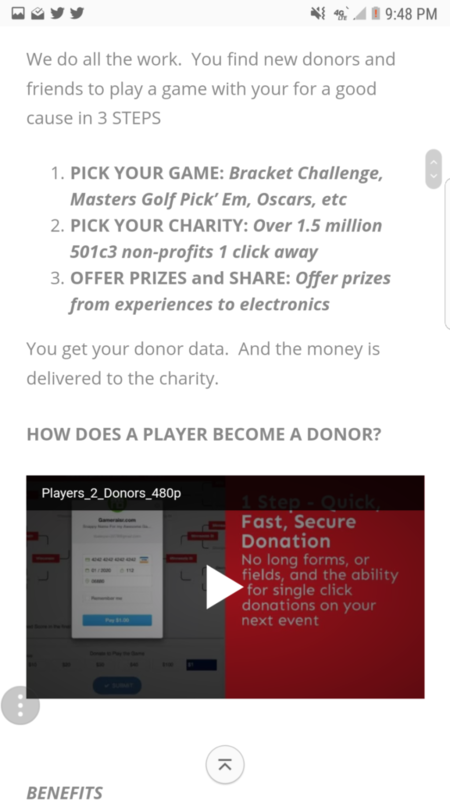 Charities likewise can host and promote Gameraisrs for their own benefit.